Liverpool beating Manchester United to the transfer of Arsenal midfielder Aaron Ramsey looks a real possibility for one key reason, according to latest reports. The Wales international is heading towards the end of his contract at the Emirates Stadium, with BBC Sport recently suggesting he was looking set to leave the club instead of sign a new deal. Ramsey has been a key player for Arsenal for many years now and would no doubt be an attractive proposition for leading sides in England and Europe. And according to the Evening Standard, it may well be that the 27-year-old heads to Liverpool over other suitors United due to the uncertainty surrounding Jose Mourinho’s position as manager right now. The Portuguese has got off to a poor start this season and many will justifiably feel he has not made nearly enough progress in the job since taking over the team in 2016. Where next for Aaron Ramsey? 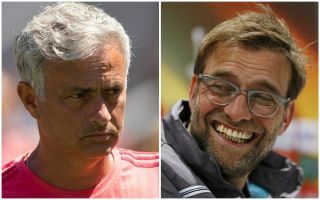 The Sun have reported that Mourinho himself is seeking assurances from the Old Trafford hierarchy over his future amid links with potentially hiring Zinedine Zidane as a replacement. Ramsey, say the Evening Standard, is wanted by both Liverpool and United, but it’s little wonder that the current trajectory of both sides means LFC seem to hold the advantage in any potential deal, though the report rightly suggests he may not be as pressing a target for Jurgen Klopp, who has plenty of other options in the middle of the park.